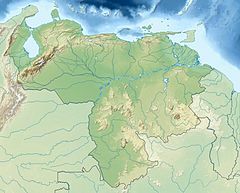 The Ávila National Park protects part of the Cordillera de la Costa Central mountain range, in the coastal region of central-northern Venezuela. El Ávila National Park is located along the central section of the Cordillera de la Costa mountain system, in the Cordillera de la Costa Central mountain range.The area's highest elevation is Pico Naiguatá, at 2,765 meters (9,072 ft) above sea level. El Ávila is known as "el pulmón de la ciudad", the lungs of the city, as it serves many different functions for residents of Caracas, the most basic of these being navigation: the peak of El Ávila marks the north of the city. It is home to the longest cable car ride in the world, as well as activities like running, biking, rock climbing, camping, and zip-lining. El Hotel Humboldt as well as many restaurants, including La Chivera, Casa Pakea, El Jardín de Luna, Le Galipanier, Granja Natalia and Tarahumara, are all nestled in the mountain's hills. Every December, the "Cruz de Navidad" is illuminated, a large crucifix high up in the mountain that faces the city and can be seen from very far distances. A common expression amongst Caracas city-dwellers to describe the change in seasons is "Pacheco has arrived," which is a reference to the legend of Pacheco the flower-picker. He was known to be a resident of el Galipán, a region in el Ávila close to the coast that tended to mark the border between the coast's chilly weather and that of the hot, dry weather of the rest of the country. El Galipán was home to some of the most beautiful, unique flowers in the country, and every December Pacheco would make the long trip down the mountain into the city to sell his harvest in the Plaza Bolivar in Caracas. 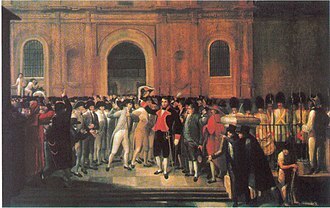 His arrival was often accompanied by the cold December weather, and over time, the expression "Pacheco has arrived" came to mean that the weather is about to get colder. El Ávila was declared a park in 1958, fulfilling an interest in its protection that had been prevalent since the 19th century. With its creation came the protection of the forested mountains that surround Caracas, the capital of Venezuela. These mountains now serve as both a recreational area and as a buffer to pollution and urban expansion. El Ávila has always been an important resource for the inhabitants of Caracas, who have used the area for a variety of activities, some of which have threatened its conservation. A hotel and a cable car, which climbs to the highest point at 2,135 meters (7,005 ft) above sea level and drops down the other side to the city of Macuto, were opened in 1956. After being out of service for 20 years, this cable car was reopened in February 2002. This park has a high diversity of fauna and flora. More than 100 butterfly species, approximately 120 mammal species, 20 amphibians, 30 reptiles and 500 bird species (36% of Venezuela avifauna) have been documented. Nine bird species are endemic to Venezuela and three threatened bird species live in this park; one of the most coloured bird specimen in this park is the *querrequerre* (Cyanocorax yncas). In addition, more than 1,800 plant species from diverse taxonomic groups can be observed. Several of these plants are endemic to the Cordillera de la Costa mountain range with some endemic to the park itself. The vegetation is of mountain forest, with variations that is distributed according to the height. Between sea level and 200 or 300 meters (and even higher up in the orientation of relief) is the xeric forest, where prevail species like cují (Prosopis juliflora). Between 800–1500 m ombrófilo sub-evergreen forest is characterized by 2-3 arboreal strata and relatively dense undergrowth is located. Among the 1,200 - 3 tree storeys and undergrowth well developed - 2,200 masl ombrófilo evergreen forest with 2 stands. In these forests abundant species of the families of orchids, ferns, bromeliads, aroids, and have reported endemic species of the family Sapindaceae, Melastomataceae, Rubiaceae and Myrtaceae and arborescent ferns and palms (Ceroxylon ceriferum). Presents anthropogenic savannas where predominate species like melao capim (Melinis minutiflora), the bambusillo (Arthrostylidium venezuelae), yellow tara (Oyedaea verbesinoides) and incense (Espeletia neriifolia). In the upper regions of the Silla of Caracas and the Pico Naiguatá is a characteristic vegetation of coastal bush subpáramo, consisting of open shrub of 1–3 m tall with a herbaceous relatively well developed, being the most characteristic species incense or frailejón tree (Libanothamnus nerufolius), Spanish flag (Castilleja fissifolia) and false frailejón (Liabum megacephalum). Panoramic view towards Caracas, looking at Pico Oriental; part of La Guaira can be seen to the left, and the Caracas valley to the right. El Ávila can be classified as vulnerable because there is a risk that the diverse threats it faces will increasingly erode its biodiversity, unless in the near future constant monitoring occurs. The most immediate threats to the park, forest fires and illegal settlements, are located primarily near Caracas. However, the concentration of resources and vigilance in those areas closest to the city has resulted in more problems in the more isolated northern slope and eastern sector of El Ávila. These areas suffer from a lack of signs, infrastructure and vigilance. Other threats include the presence of exotic plants, the Caracas Aerial Tramway, the Hotel Humboldt and poaching. El Ávila National Park is located along the central stretch of the Cordillera de la Costa, at 10° 32' latitude north and between 66° 12' and 67° 01' longitude west (see map). It covers the mountainous regions between the Caribbean Sea and the valleys of Caracas, Guatire, Guarenas and Barlovento. 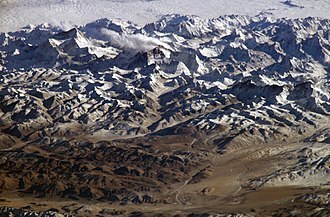 The park contains part of the following states: Vargas (northern slope), Capital District (southern and western slope) and Miranda (eastern slope). The National Park is named for the Cerro El Ávila (Mountain El Ávila), usually just referred to as "El Ávila", which reaches 2,740 meters (8,990 ft) above sea level. This mountain rises north of the capital Caracas located in a narrow valley 950 meters (3,120 ft) above sea level and separates the city from the Caribbean Sea. The mountain is accessible by cable car (teleferico), by off-road vehicle, and on foot. In addition to the scenery, one may visit the hacienda, laboratory and mausoleum of Gottfried Knoche; a German-born doctor who was notorious for his experiments in mummification. They are accessible only by footpath. The park follows a mountain range 80 kilometers (50 mi) long and approximately 16 km wide. It contains over 81,800 hectares (202,000 acres), encompassing a wide variety of ecosystems that vary along the altitude gradient from 120 to 2,765 meters (394 to 9,072 ft) above sea level at Naiguatá peak. In the lower areas of the northern side, the vegetation is mainly xerophytes, represented by a variety of cacti, shrubs and spiny species. From 300 to 600 meters (980 to 1,970 ft), semi-deciduous forests dominate, whereas from 600 to 800 meters (2,000 to 2,600 ft) the seasonal semi-deciduous forests are common. From 800 to 1,500 meters (2,600 to 4,900 ft) above sea level on the northern slope and from 1,200 to 1,600 meters (3,900 to 5,200 ft) on the southern slope, the forests are mainly sub-mountainous evergreen forests. Due to the constant condensation by the cooling of the air masses and the decrease of atmospheric pressure, cloud forest dominates between 1,500 and 2,200 meters (4,900 and 7,200 ft) above sea level. Finally, the lack of water at 2,200 meters (7,200 ft) and higher permits only sub-páramo vegetation. Beautiful forests grow along the numerous watercourses that flow on either side of the mountain. The temperatures vary widely on El Ávila, with an average temperature of 13 °C (55 °F) in the lower sections of Caracas valley and 10 °C (50 °F) on Naiguatá peak, where the lowest temperature ever recorded was 2 °C (36 °F). The annual average rainfall fluctuates between 600 and 1,400 millimeters (24 and 55 in) and is influenced by orography, which explains why rain is more abundant on the northern slope where the mountain faces the trade winds. There are plenty of trails in El Ávila National Park for outdoors enthusiasts. From low-level routes to high technical complexity, there is a trail for everyone. 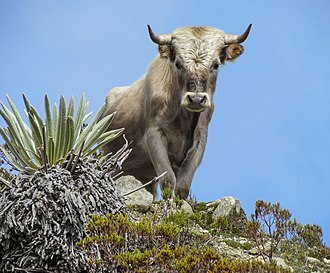 The most famous trails are: Los Venados, Sabas Nieves, El Vivero, Los Pinos, Papelón, Rancho Grande, Cachimbo, Miguel Delgado, Lomas del Cuño, El Paraíso, La Julia, Picacho, Piedra del Indio, Lagunazo, Pico Oriental, Pico Occidental, Cabeza de Elefante and Pico Naiguatá. View of Caracas and Waraira Repano National Park. View of the El Ávila Cable Car starting from Caracas to Hotel Humboldt station. ^ "El Avila". explore.com.ve. Archived from the original on 2011-11-20. ^ "Daniela Flamini". Daniela Flamini. Retrieved 2017-04-13. ^ Brown, Emily (October 31, 2011). "El Ávila: The Protective Lungs of Caracas". Sounds and Colours. Retrieved July 7, 2014. ^ "El Ávila National Park - Park Profile - Geography". parkswatch.org. 2012. Retrieved November 23, 2012. Wikimedia Commons has media related to Avila National Park. Soundsandcolours.com: "El Ávila National Park: The Protective Lungs of Caracas"
La Guaira is the capital city of the Venezuelan state of Vargas and the countrys main port. It was founded in 1577 as an outlet for Caracas,30 kilometres to the southeast, the town and the port were badly damaged during the December 1999 floods and mudslides that affected much of the region. The city hosts its own baseball team in the Venezuelan Professional Baseball League. They have won seven national championships since their founding in 1962, after the founding of Caracas by Spanish in 1567, toward the turn of the 16th century, the Port of La Guaira emerged on the coast and, since that time, has been the gateway to Caracas. This coastal city, almost without land to develop and bathed by the Caribbean Sea, attacked by buccaneers and by the English and French armadas, La Guaira was transformed into a fortified, walled city. During the War of Jenkins Ear, the first attack of the Royal Navy took place on La Guaira, the English frigate HMS Hermione was delivered to the Spanish authorities at La Guaira after her crew mutinied in 1797. August Gottfried Knoche was a German doctor and surgeon. He is best known for inventing an embalming fluid that was used to mummify dozens of corpses at his laboratory in Venezuela, in 1837, he studied at the University of Freiburg and worked in the Universitys hospital. Three years later, he went to Venezuela and settled in La Guaira, once he was fully established there, he brought his wife and daughter from Germany, putting them to work as his nurse and assistant. He was known as a man, who treated poor patients without charge. 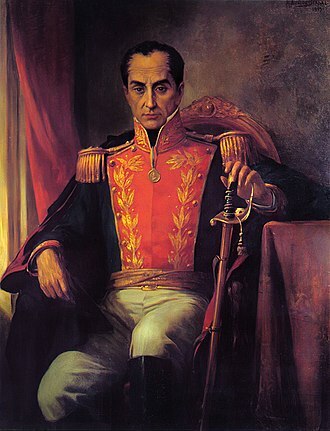 In 1845, his doctors credentials were certified locally, by the Universidad Central de Venezuela and he was a nature lover, and went on many horseback excursions into the neighboring mountains. It was that he decided to become a land owner, the Hacienda Buena Vista would become the site of his laboratory and family mausoleum. From 1854 to 1856, he helped reestablish the old Hospital San Juan de Dios, soon, he devised a fluid that could be injected into the veins and preserve the cadaver without having to remove the organs. In fact, Lander died in 1845, long before Knoche is believed to have developed his formula, the story could have been inspired by the well-known fate of Jeremy Benthams corpse. In preparation for Knoches own death, he concocted the proper dosage and she carried out this commission faithfully, and remained at Buena Vista until her death in 1926 at the age of eighty-eight when, in accordance with her wishes, she was placed in the mausoleum. As she became reclusive, locals began to refer to her as the Witch of Ávila. His fluid is believed to have based on an aluminum chloride compound. The Hacienda Buena Vista is in ruins, the mausoleum was heavily vandalized and has been reconstructed. In addition to Knoche, it held the remains of his daughter Anna, her husband Heinrich Müller and his wife returned to Germany because she didnt like the isolation or the weather at the hacienda, and the fate of Annas son, Oswald, is unknown. When the mausoleum was first visited by a team in 1929. Originally, it is said, mummified dogs served as the mausoleums guardians, over the years, many medical students have visited there, attempting to discover the fluids formula. The Sierra Nevada National Park is an important National Park of Venezuela located between Mérida and Barinas states in the west of the country. It was created on May 2,1952, by decree of President Germán Suárez Flamerich and it was the second national park decreed, after Henri Pittier National Park, which became the first Venezuelan national park 15 years earlier. The initiative to create the Sierra Nevada Park was born in the Escuela de Ingeniería Forestal since 1948. 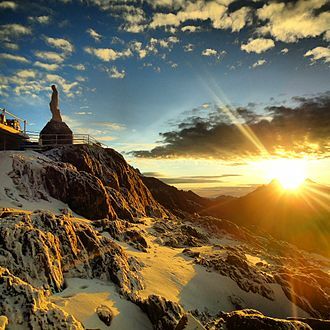 The proposal takes strength and the University of the Andes, appoints a commission to the preliminary study, on May 2,1952, the Governing Board chaired by Germán Suárez Flamerich, signed a decree which stated the Sierra Nevada as National Park. The Sierra Nevada Park is the second oldest National Park in Venezuela, initially the park covered an area of 190,000 ha. However, the August 14,1985 by decree of the National Executive, the park encompasses parts of six municipalities of the states of Mérida and three of the Barinas state. In the southwest, the boundary of the forms the valley of River Nuestra Señora, left bank tributary of the Chama River. The park is in two mountain ranges, the Sierra Nevada de Mérida and the Sierra de Santo Domingo. 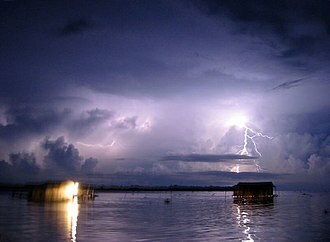 Most rivers are the Chama and Mucujún flowing into Lake Maracaibo, the Orinoco basin, the main ones are the Caparo, the Santo Domingo and the Cajurí that flows into the Uribante. In the park are thirteen watersheds, and ten lakes of glacial origin, the vegetation of the park is representative of the Andean cloud forests, mostly trees and undergrowth layers well developed and numerous epiphytes and endemic species. The higher altitudes, above 3,000 m is developed typical moorland vegetation and it presents a xerophytic scrub vegetation in the drier areas of the River Basin Nuestra Señora. In Barinas, the vegetation is predominantly forest, with trees up to 25 m. height, the Sierra Nevada has two annual periods, a period of maximum rainfall concentrated between May and October and a dry period or minimum rainfall between December and March. The Caribbean Sea is a sea of the Atlantic Ocean in the tropics of the Western Hemisphere. The entire area of the Caribbean Sea, the islands of the West Indies. The Caribbean Sea is one of the largest seas and has an area of about 2,754,000 km2, the seas deepest point is the Cayman Trough, between the Cayman Islands and Jamaica, at 7,686 m below sea level. The Caribbean coastline has many gulfs and bays, the Gulf of Gonâve, Gulf of Venezuela, Gulf of Darién, Golfo de los Mosquitos, Gulf of Paria, the Caribbean Sea has the worlds second biggest barrier reef, the Mesoamerican Barrier Reef. It runs 1,000 km along the coasts of Mexico, Guatemala, the name Caribbean derives from the Caribs, one of the regions dominant Native American groups at the time of European contact during the late 15th century. During the first century of development, Spanish dominance in the region remained undisputed, from the 16th century, Europeans visiting the Caribbean region identified the South Sea as opposed to the North Sea. The Caribbean Sea had been unknown to the populations of Eurasia until 1492, at that time the Western Hemisphere in general was unknown to Europeans. 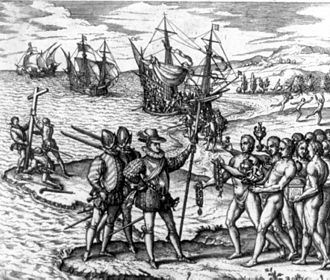 Following the discovery of the islands by Columbus, the area was colonised by several Western cultures. As of 2015 the area is home to 22 island territories, the International Hydrographic Organization defines the limits of the Caribbean Sea as follows, On the North. In the Windward Channel – a line joining Caleta Point and Pearl Point in Haïti, in the Mona Passage – a line joining Cape Engano and the extreme of Agujereada in Puerto Rico. From Galera Point through Trinidad to Galeota Point and thence to Baja Point in Venezuela, note that, although Barbados is an island on the same continental shelf, it is considered to be in the Atlantic Ocean rather than the Caribbean Sea. The Caribbean Sea is an oceanic sea largely situated on the Caribbean Plate, the Caribbean Sea is separated from the ocean by several island arcs of various ages. The youngest stretches from the Lesser Antilles to the Virgin Islands to the north east of Trinidad, the larger islands in the northern part of the sea Cuba, Hispaniola and Puerto Rico lie on an older island arc. The entrance to Higashi Otani Mausoleum in Kyoto, Japan. 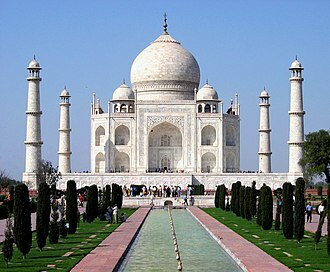 Taj Mahal, in Agra, India is the world's most famous and most photographed mausoleum. Kumsusan Palace of the Sun, Kim Il-sung and Kim Jong-il's mausoleum in Pyongyang, North Korea. Muhammad Ali Jinnah Mausoleum in Karachi, Pakistan. View of the Morrocoy National Park. Coconut palm tree in Sombrero cay. Corocoro, bird species found in the Morrocoy National Park. Reef located in Morrocoy National Park. A river in the park. Lake Valencia, with Cordillera de la Costa Central to the North.